Cottars Safari camp located in Kenya’s Masai Mara, and borders the Serengeti and Loliondo reserves. The camp’s focus is on recreating the 1920’s safari experience. The Camp has its own 6000-acre private conservancy, as is very away from roads and other lodges. Its remote location is really great for guests that do not like big crowds; this especially true during the peak migration season. The camp’s close proximity to the Serengeti means that guests will be perfectly situated to witness the annual Wildebeest migration. At Cottars the safari experience is focused on quality game viewing that is private and intimate. There is exceptional game viewing all year round and the big predators are often spotted. The camp has only 8 white canvassed tents. All the tents are decorated in fine antique furniture with a private dressing room. The tents really do represent a luxurious 1920’s experience with a very distinct colonial feel. There are 4 Family suites that have 2 ensuite bedrooms with a private dining area and fireplace. There are also 4 Luxury Suites with 2 double bedrooms and ensuite bathrooms. 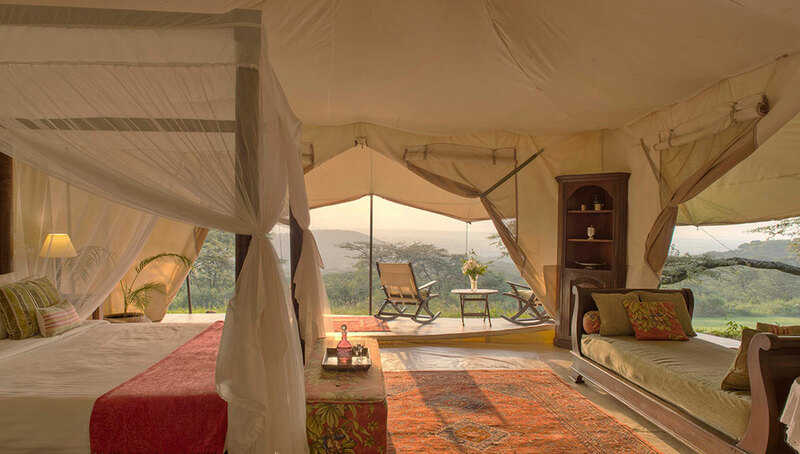 Each tent has a private veranda with spectacular views. Additional beds for children up the ages of 16 are available. Calvin Cottar is a fourth generation Cottar, and his insight into the region and wildlife will be invaluable to you. 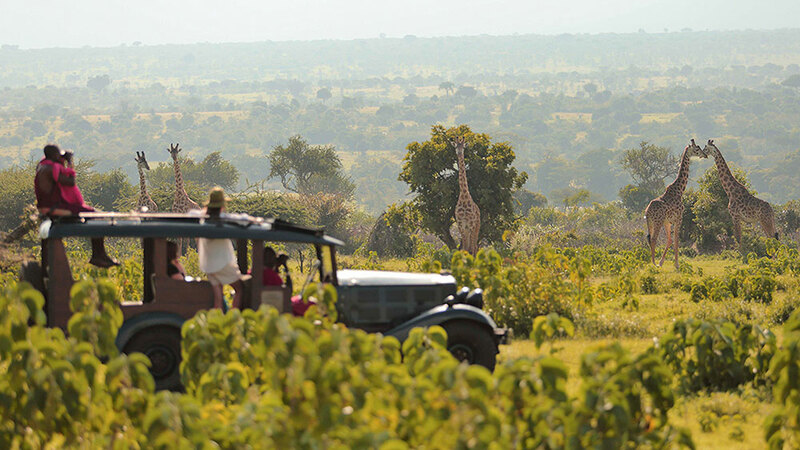 There are 15 gold level guides who will guarantee a memorable safari. Excursions include day and night time game drives, guided walking safaris and fishing trips. Cottar is also one of the view facilities licensed to carry firearms during your walking trips to provide extra safety. A visit to the local Maasai tribes can be arranged through the camp. Market day is an absolute must when the Masai don their brightest robes and best jewelry for the occasion. The camp also offers one of a kind Ox Wagon rides. Want to see Cottars Safari Camp as part of a trip? Enquire today to let us help build your holiday. Want to Keep Exploring Kenya?